Germany lost to the Netherlands this weekend - is it time for Deutschland to move on from Thomas Muller & Manuel Neur? Plus, MLS is heating up heading into the playoffs, Thierry Henry is officially in at Monaco & the USWNT qualified for the World Cup! 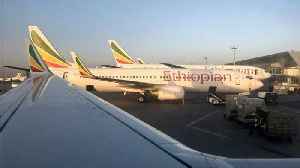 According to a report by Business Insider, Germany has joined the UK, China, and other countries around the world in grounding the Boeing 737 MAX 8 aircraft, which has now been involved in two deadly..